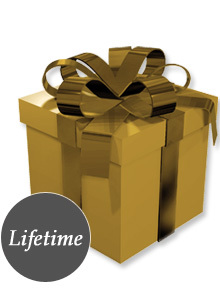 Bless a homeschooling family with the gift of a Lifetime HSLDA Membership Gift Certificate! Don't know a family in need but would still like to help? Consider giving to the Home School Foundation. The Home School Foundation enables homeschooling families that are experiencing financial difficulties to recieve assistance toward and HSLDA membership. The purchase of an HSLDA Membership Gift Certificate is not tax-deductible. No membership discount applies to gift certificate purchases. Nonrefundable after 30 days. This gift certificate expires five years from the date of purchase. 1. Fill out or confirm information as prompted on the Profile page. 3. On the Payment page, copy and paste your gift code into the “Gift Membership Code” box. 4. Read the terms and conditions, and submit your application! Each recipient must fill out an application for membership with HSLDA. Check out membership requirements here.